Barbara Kobylinska is an artist who was born in Warsaw, Poland. She creates beautiful, abstract birds that we will be using as our inspiration for this project. 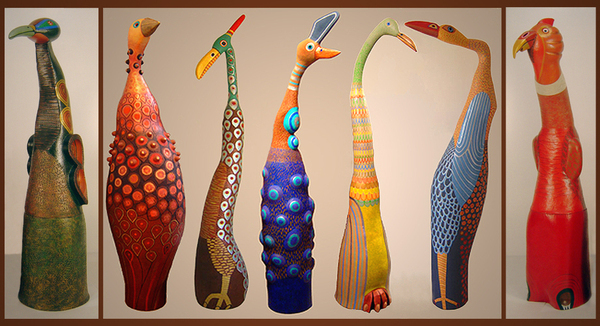 Kobylinska's birds are made of ceramic and metal. Some are as tall as 6 feet. They are painted with bright colors and patterns. Their forms are simplified with painted details like wings and some raised/ 3-D areas. 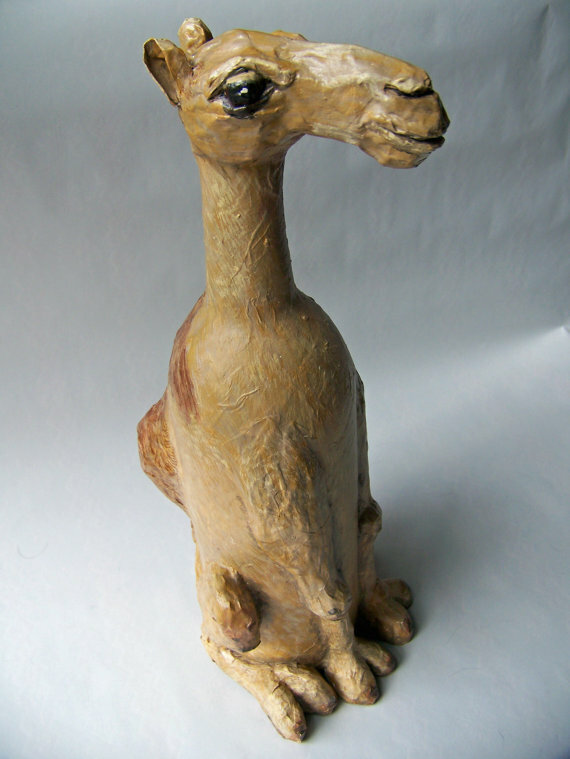 Based on the characteristics found in Barbara Kobylinska's work, you will be creating a paper mache animal using a wine bottle as the armature. You may use any animal, not just birds. 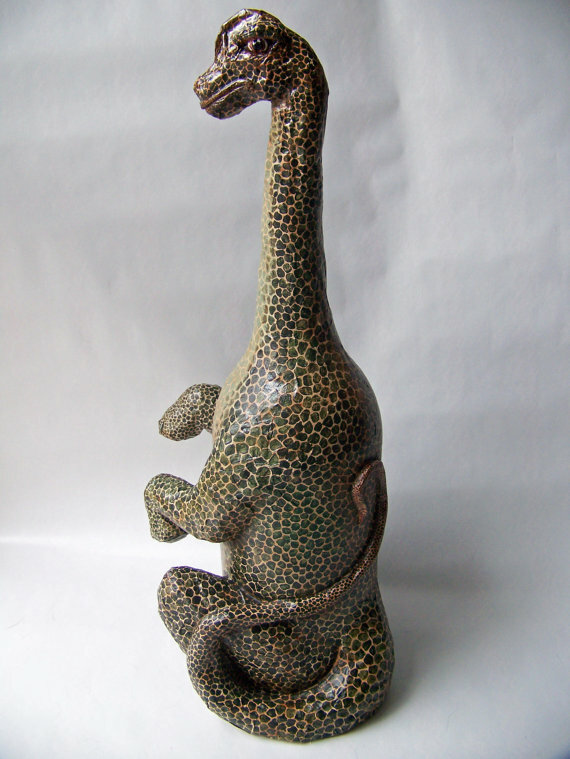 Morph the animals natural shape to fit on and around the bottle's shape. Wire, shaped newspaper, and aluminum foil can be used to create details like the head shape, ears, feet, wings, etc. Explore as many ideas as you can think of that relate to a real or imaginary animal. Think about exaggerating a feature, creating an expression, and/or dynamic body poses. You will be able to add arms, legs, wings, horns, and any other details that will complete your design. Consider how these will work around the bottle shape. Create 3 different quick sketches of your animal. Choose different poses and ways you can adapt the body shape of the animal to the bottle. Write a 4 sentence paragraph about a your animal. Give it a name, location, and a few details about it's personality. Remember you are telling a story that gives meaning to your creature. Be creative! Turn your paragraph into Schoology. 1. 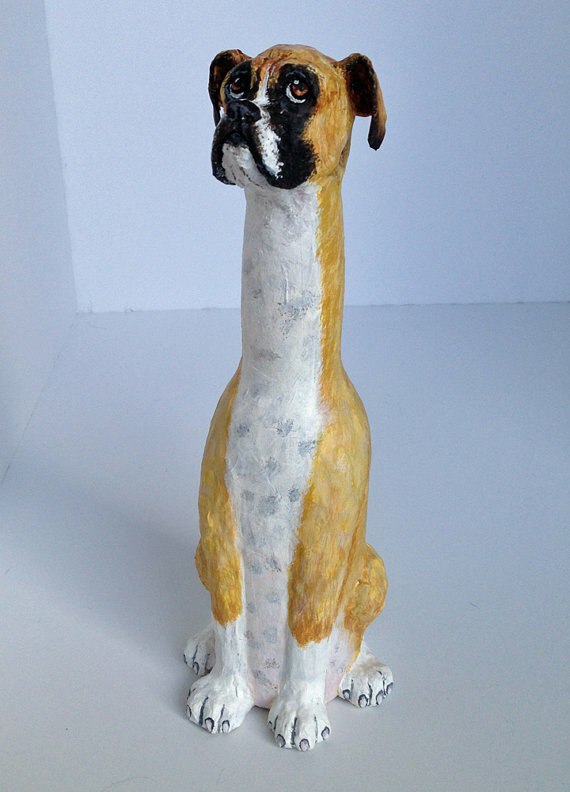 Use a wine bottle as the armature for the body mass of your animal. Add newspaper to the bottle to create the shape of the body on the the bottle. Arms, legs, head, ears, etc will be sculpted out of newspaper, wire, aluminum foil, and masking tape, Once the limbs, etc. are created, attach them to the body mass on the bottle. Aluminum foil can be used for details like horns etc, since it will hold it's shape without sagging. Be sure and cover all of the foil with tape since the paper mache will not stick to the foil. 2.. Rip newspaper into strips (about 2” x 1.5”). Dip paper into paper Mache paste and lay over the armature. Strips should crisscross and not be all placed in the same direction. Wrap paper around the edges. Paper Mache shrinks and this will hold it in place. 3. Smooth out wrinkles as you work. Once a wrinkle dries it will become permanent. If you can’t get a piece to lie smoothly, it is too big. Rip it into smaller pieces. 5. You will need 3 – 4 layers. Allow layers to dry overnight. You can do up to 2 layers at a time. 6. Base coat with a light color house paint to cover the print on the newspaper.